When the weekend hits, all I can think about is brunch. I was pretty excited when I heard Joe Bean was adding brunch to their menu... always happy to have another option to choose from. Aaron and I stopped in and split what they call Eggs in Purgatory. 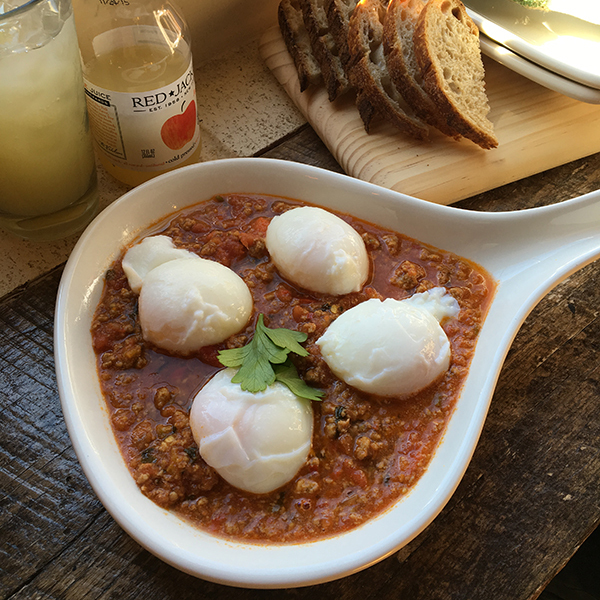 It's also known as Shakshuka, basically poached eggs in a tomato sauce. It's a breakfast dish that is popular in Israel. Add a chunk of bread on the side for dipping and it's not hard to see how satisfying this dish can be. I'm looking forward to trying the other items on the Joe Bean brunch menu!